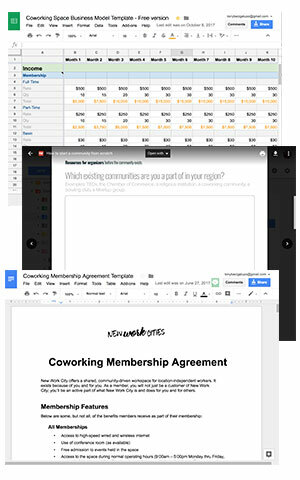 Get your free coworking space starter kit! Let’s start saving you some time, right now. I’m taking some of the best resources and tips I’ve compiled over the years and made them available to you for free—check them out to get a taste of the kinds of things I can do to help you as you build your space!